The picture is optimized for TV. Sound: 192 kbps / 44 KHz / стерео. Such a strange place - Kamchatka. Such a sweet name - Kamchatka. 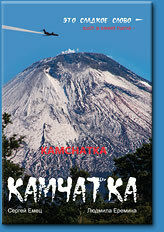 Kamchatka has become the world's famous brand of one of the most beautiful places on Earth. The magic power of its name makes thousands of people from different parts of the world start their journey into its wilderness. They dream to find the lost world of wild nature with smoky volcanoes, high mountain lakes, and clear rivers full of salmon. They even imagine bears walking freely in the cities. And then there comes the day when you feel that your long lasting dream has come true, and you've got a chance to visit this wonderland. So you leave your home, your quiet and predictable life in Moscow, Tokyo or Paris, forget about your job and your friends and head for the adventure. This film is a question. The question that everybody asks: why I'm here? What do I expect to see? 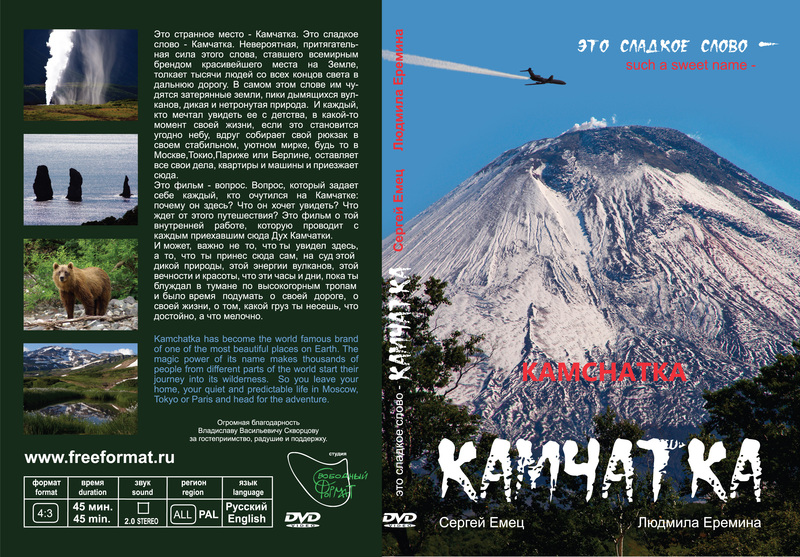 This film reveals that inner work that the Spirit of Kamchatka makes every guest to fulfil. Paintings The paintings of series "Free Format", "Kamchatka"
Photoblogs (in Russian, please use online translator) Items with tags "Kamchatka"
Films "Such a sweet name - Kamchatka"